Do you have one of those home that list the bedrooms as having a “plus 1”? For example, 3+1 bedrooms, or 2+1 bedrooms? That means that it’s not really a bedroom, but more like a small storeroom, or utility closet space; big enough for a folding mattress, but not big enough for a full-size bed. You could convert it to a maid or domestic helper’s room, but if you want to get creative, there are lots of other ways to use it. There are many ways to transform an unused closet space into something useful. Nothing is a wasted space, it just takes a bit of creativity to create a space that you’ve always wanted, with plenty of storage too. We’ve compiled up some amazing designs for your inspiration. 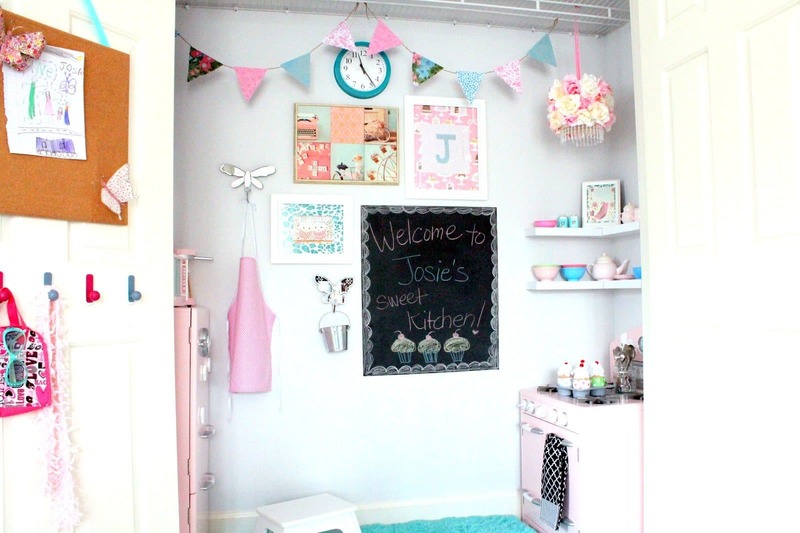 Here are some ways on how you can transform your storeroom into something awesome in your home! 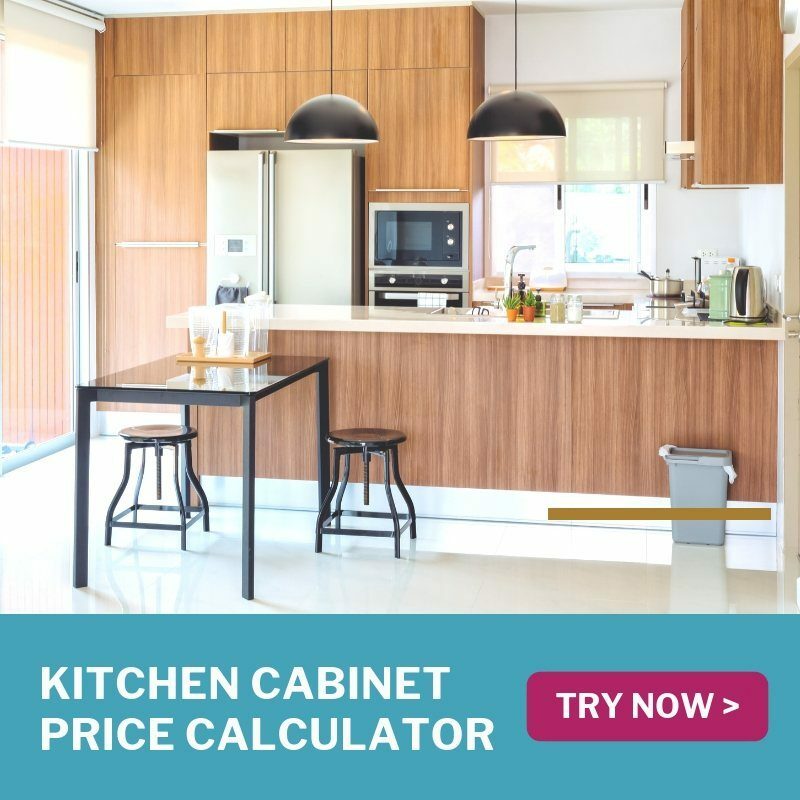 Recommend.my is Malaysia’s number #1 home improvement site. Let us know what are your interior design requirements and we will get in touch with you! Most of us need to work from home. But with many distractions, you need ways to increase productivity and creativity in your home office. 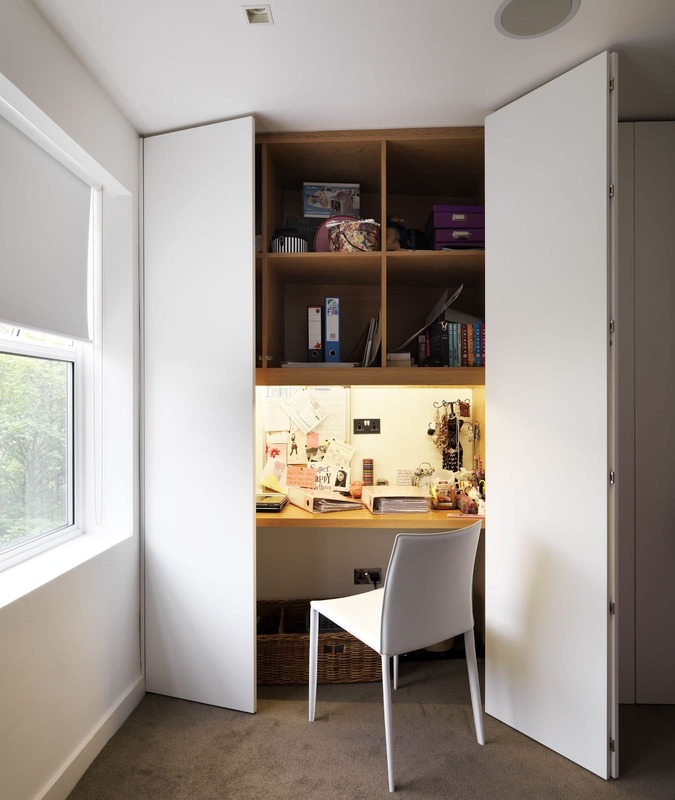 Turning a storeroom or utility closet into a home office is a great way to carve out a personal space for yourself. It should be well-organised and clutter-free, and use a natural colour palette like whites and wood tones to give the space a brighter feel. Besides, this converted closet to a home office shows a good amount of storage shelves with a built-in light. Those closet doors also makes it look neat as you can close it up whenever the space is not in use. A day changing area is essential for newborns and infants. 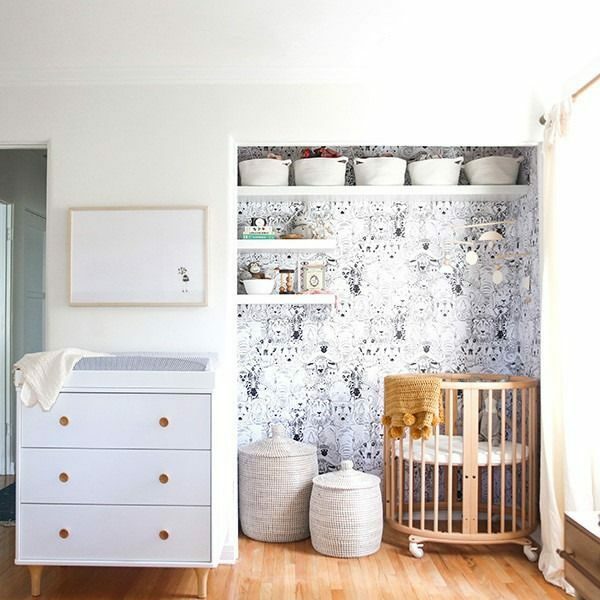 By converting your storeroom, you can create a nursery that includes lots of storage space to tuck those baby necessities in the room. Use white to make the room feel larger, and install low shelves within easy reach, since you will only have one hand free. If your storeroom is big enough, you can even fit a small cot for your baby’s afternoon nap. 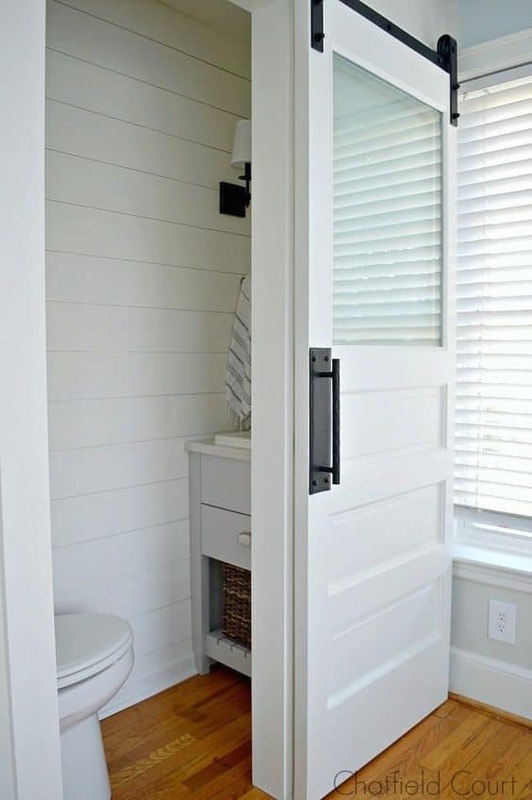 Also known as a powder room, you will need help from a local plumber to extend the piping to your storeroom if you want to convert it to a guest toilet. But, it becomes absolutely essential when you have friends and extended family visiting. Studies show that growing up with more books early on makes for smarter adults. 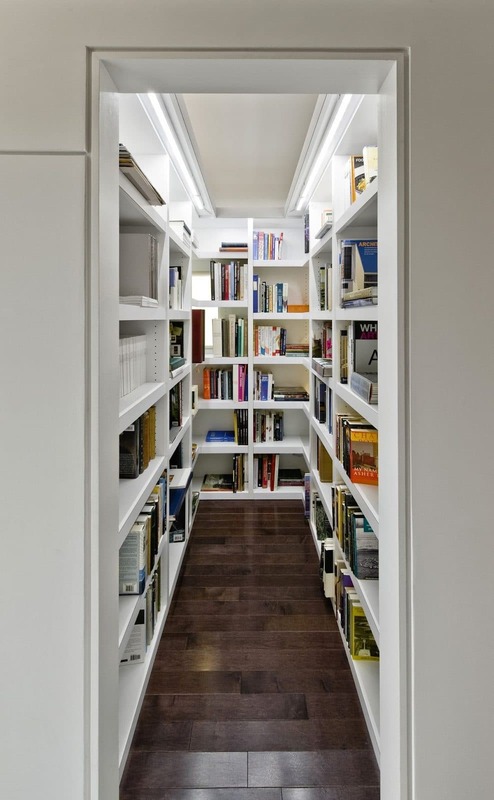 By converting your storeroom into a home library, you get a place to store all your books. This closet library is designed in a minimal and modern way. You can also install ceiling lights to brighten up the space. There is nothing better than reading a good book at a cosy corner at home. A reading corner is ideal to have some quiet time, listening to music while reading and to relax. This transformed closet into a reading corner looks practical and functional with a chair topped with plenty of pillows. Not only that, built-in shelving is a must have when it comes to a reading corner, as it helps make a space for you to display your favourite books. You don’t need a big space to create a fun area for your kids. By converting the storeroom or utility closet, you can add low shelves, books, wall art, stools and drawers and create a play space for your kids to have fun. Decorate it with vibrant and fun colours to make the space pop. 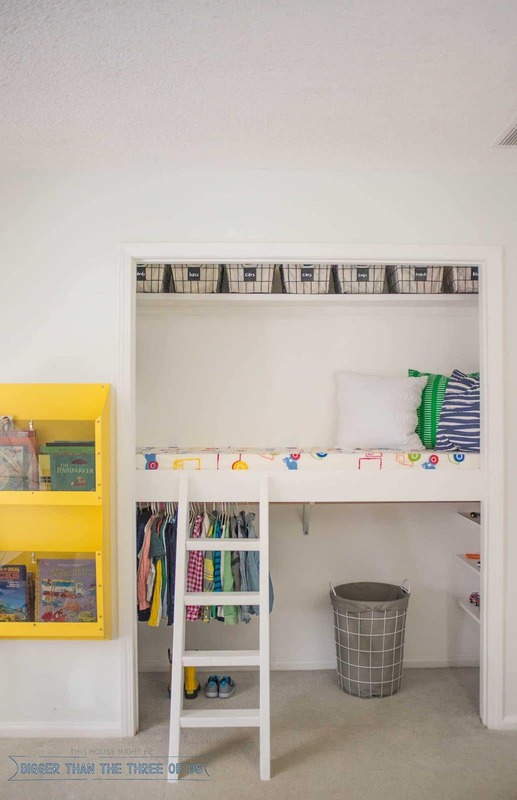 While the storeroom may not fit a full-size bed, it can easily be turned into a younger child’s bedroom. In this example, the bed is on a raised platform, with loads of wardrobe space underneath. There’s also baskets and a shelving unit for toys. Choose a lighter colour palette to make the room bright and airy without feeling too cluttered. This hidden bar in closet idea is next level because of how compact it looks. 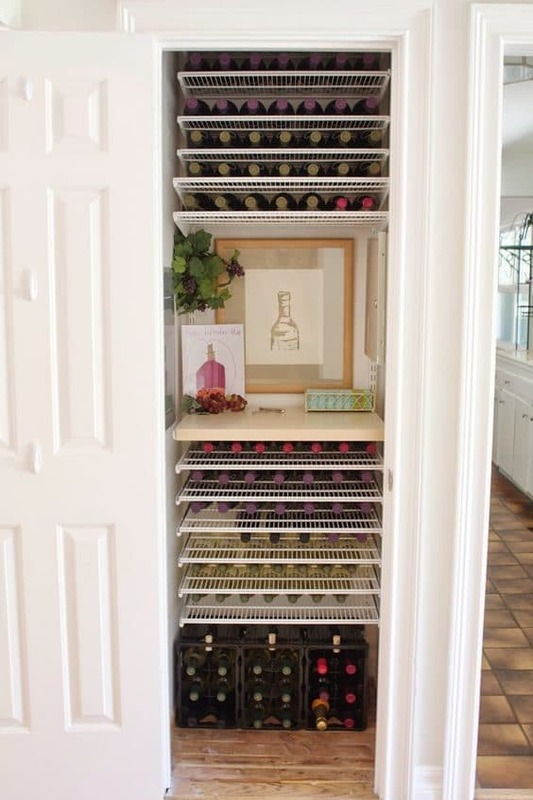 Build a cabinet and wine rack to make this space fully-functional. This will help you display your favourite drinks along with fancy wine glasses. 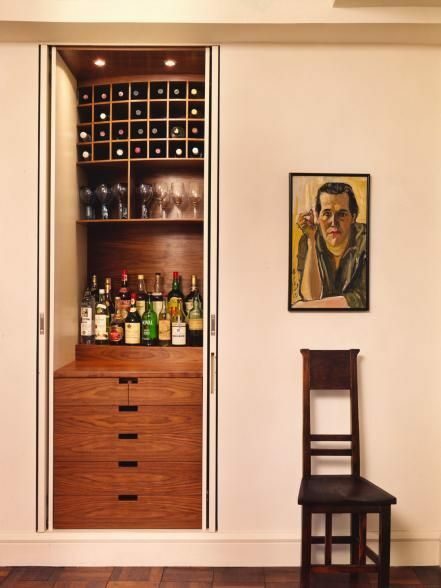 With this design, you’re able to entertain guests in your own home with this cool hidden bar. 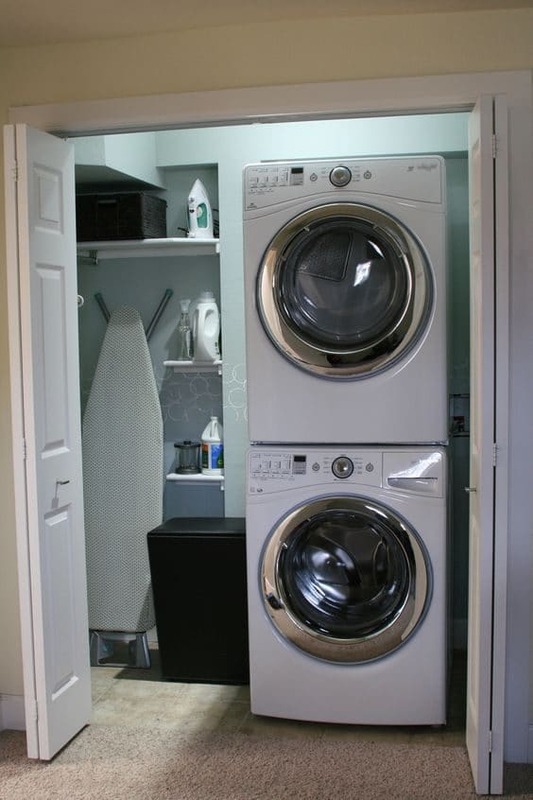 Not every home has enough backyard space for a laundry area, so putting your washing machines in a closet is a great way to maximise your existing space. Think of it as an all-in-one utility closet, with space for your washer and (optional) dryer, ironing board, and washing liquids, cleaning supplies, and more. If you have have a few inches to spare, add a shelving unit for storage purposes. Those sliding doors also makes the space neat and tidy as you can close it up when the laundry room is not in use. If you collect wine, art, watches, camera equipment or even comic books, you need a place to preserve them. In the example above, a storeroom has been converted into a wine cellar. Maximise your unused closet space by installing shelves with countertop space to make it functional. Then, add a dehumidifier unit, or aircon to maintain the temperature and humidity at just the right levels. Need an interior designer to help you with these ideas? We have over 700 verified and trusted pros in our directory, and we can connect you with suitable pros to match your requirements. Tell us more about your design ideas and we will get in touch with you!